Iniva and A Space publish the second set of Emotional Learning Cards, Who are you? Where are you going?, following the success of the What do you feel? cards, praised by teachers, parents and art therapists. This second set is a resource to stimulate creative exploration of personal and cultural transitions in order to give us a deeper self-understanding and direction. 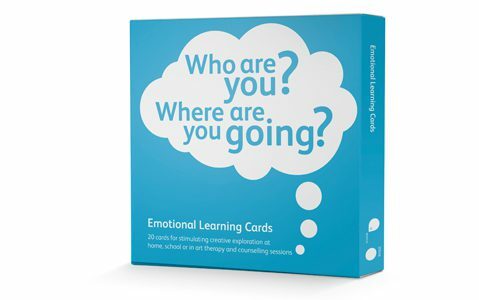 The cards can be used in individual or group therapy work, in a school or college, galleries or museums and at home. This demonstration workshop aims to explore practical and creative ways to use the Who are you? where are you going? learning resource. The workshop is led by an experienced art educator/therapist from A Space. Established in 1997, A Space designs and delivers a range of artist/art therapist-led services to meet the emotional and psychological needs of children and young people. There are also workshops on 4 November, 5-7pm and 12 November 10-12pm.